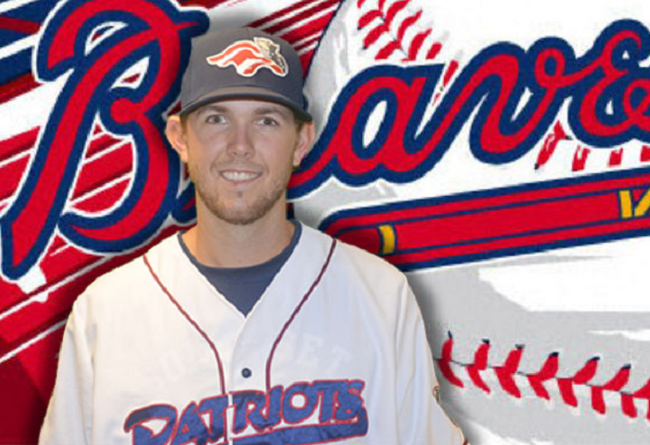 Somerset Patriots right-handed pitcher Connor Little has signed with the Atlanta Braves organization. He marks the sixth player that spent time with the Patriots this season to be signed by a major league organization, joining Edwin Quirarte (San Francisco Giants), Mickey Storey (Los Angeles Dodgers), Chris Marrero (Chicago White Sox), Sean Bierman (Baltimore Orioles) and Lucas Irvine (Arizona Diamondbacks). The 25-year old appeared in four games with the Patriots after being signed from the Evansville Otters (Frontier League) on September 9. He struck out four batters over six innings pitched. The 6’6” hurler went 7-5 with a 1.19 ERA in 47 relief appearances earlier in 2015 with the Otters. Little also struck out 90 batters while issuing just 14 walks over 68.0 innings pitched. Little owns a 9-8 career record in 63 appearances (four starts) with a 2.78 ERA, 132 strikeouts and two saves. The Somerset Patriots won their Atlantic League leading sixth championship during the 2015 season. The schedule for 2016 has been released and can be viewed athttp://www.somersetpatriots.com. For more information about the 2016 season, stop by TD Bank Ballpark, call (908) 252-0700, or visithttp://www.somersetpatriots.com.